Power Roller self-massage therapy ball for sore muscles and pain relief on the neck, shoulders, back, arms, hips, legs and feet. 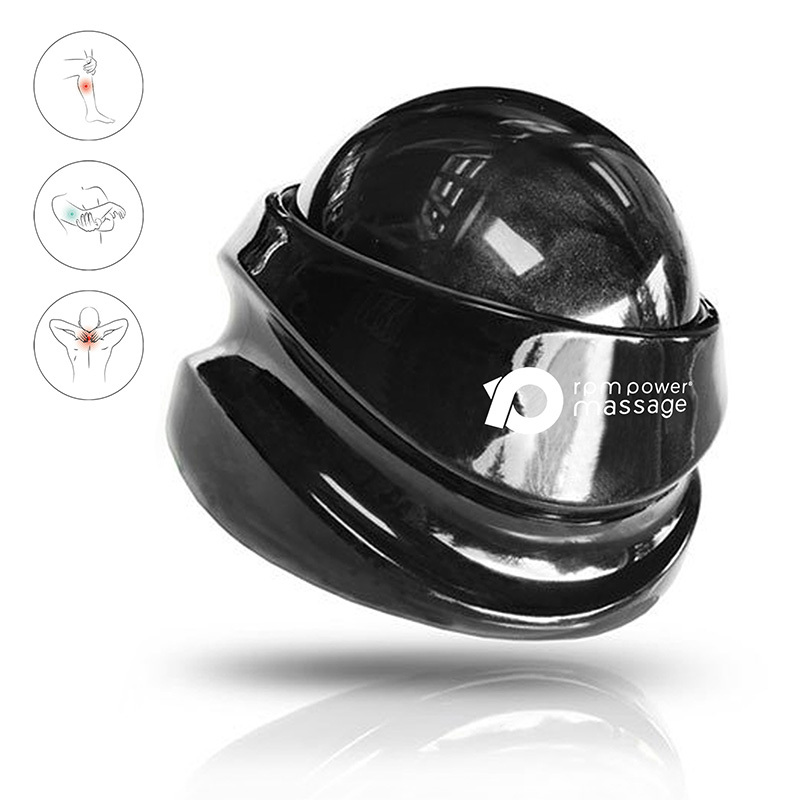 The friction-free 360-degree ball movement glides effortlessly over both skin and clothes with an ergonomic grip to allow you apply just the right pressure in any direction and closely simulates the type of massage relief you will experience from a massage therapist's elbow or palm. Use it at home as you unwind; in the office to enhance circulation after extended periods of sitting; following a gym workout; during a flight; after a long car journey - the applications are endless but all with the same soothing therapeutic results and long-lasting benefit. Power Roller is compatible with massage oils and lotions if preferred and may be easily cleaned with soap and water to ensure safe hygienic use.